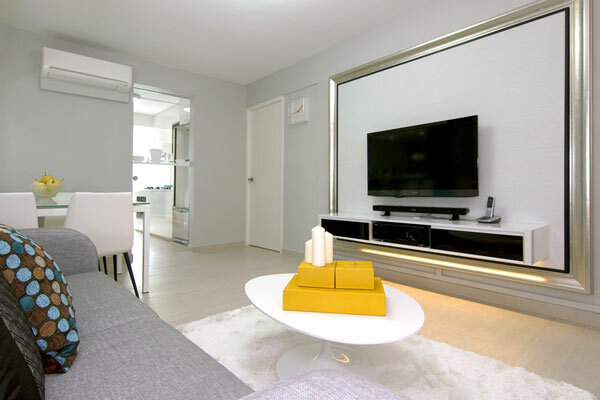 A dark and dreary ‘shoebox flat’ in Singapore is virtually unrecognizable after undergoing a modern renovation that uses mirrors and lots of white to visually multiply the space available. 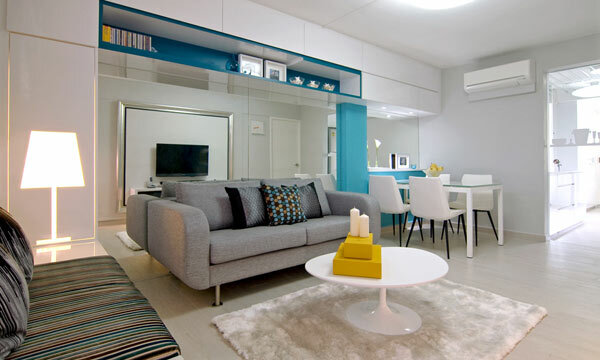 KNQ Associates renovated the 550-square-foot one-bedroom apartment into a bright and orderly, “chic and functional semi-bachelorette pad” for a woman living with her mother. 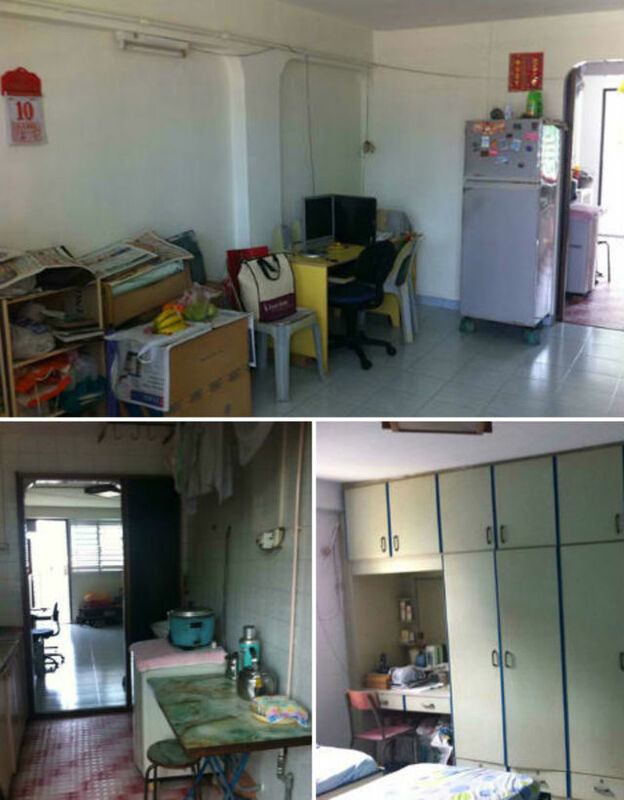 The before pictures depict a typical small apartment of the sort that can be found all over Singapore, smaller residential units that have become more popular in recent years. 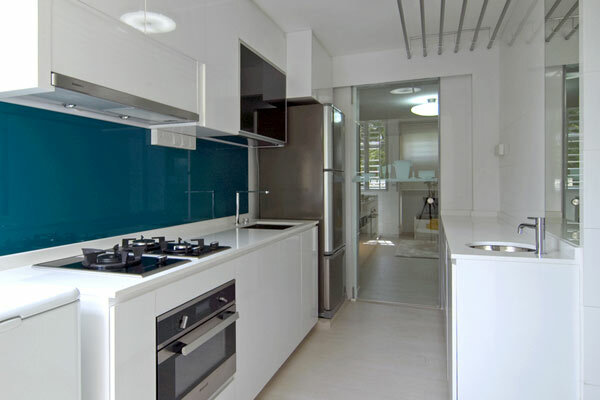 Lacking adequate storage and organization, the micro apartment was cluttered and out of date. This space-saving renovation transforms it into a modern, light-filled space that’s much more pleasant to inhabit. 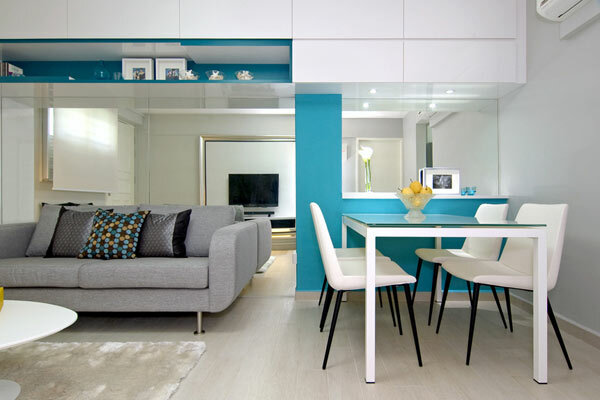 KNQ constructed a white wall-mounted storage unit in the hallway that conceals unsightly objects, and similar cabinets were placed in both the living room and bedroom. Mirrored walls make the space seem much larger than it is, and multipurpose furniture like a bench that stores shoes offer comfort and functionality. A utility room located off the kitchen is now a peaceful workspace that even has room to nap on a sleeping platform with storage both above and below. The tiny bedroom, shared by mother and daughter, features two twin beds given a bit of privacy and separation by a wardrobe. The color scheme of white, pale wood, gray and pops of bright blue and yellow play up the tranquil vibe of the new space.